Hall of the Mountain King: Stuck in My Head: White Lion - "Radar Love"
Stuck in My Head: White Lion - "Radar Love"
I don't like White Lion. I got so sick of "When the Children Cry" that I felt like puking every time I heard it. Mike Tramp's vocal inflections - "I never had a chance to laave you" - often annoyed me. And while I respected Vito Bratta's abilities as a guitarist, I never found his licks overly inspiring. Add to that the fact that covers rarely come anywhere close to matching the original, and it would have been a safe bet that White Lion's version of Golden Earring's "Radar Love" would never get anywhere near my stereo. Surprise. It's the reason that I actually own a White Lion CD today. Sometimes things that shouldn't work just do, and this is one of those times. I still enjoy the Golden Earring version of "Radar Love," but it's always seemed a little stiff to me. After all, Golden Earring was among the wave of 1970s prog acts that took their music very seriously, and I just don't think they found the fun in the song. White Lion, on the other hand, came from the decade of excess where the primary goal of a hard rock band was to get paid, get drunk and get laid. They got it, and the result is a much looser and smoother rock 'n' roll song than the original. For some reason, Tramp's voice isn't as nerve-grating to me on this track, and the smooth fills by Bratta between lines are some of the few he produced that would make me give a good guitar face when I'm playing air guitar along with the song (or the version of the song on the latest "Guitar Hero" game). The White Lion version of the song has all but been forgotten by radio, which after the demise of the "hair band" scene of the 1980s, reverted back to the original. But for me, it remains the best version of the song. In any form, though, "Radar Love" is a near perfect rock 'n' roll song. Hear a sample of "Radar Love." 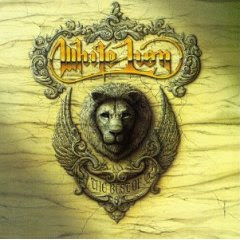 Get White Lion's "Big Game." Get "The Best of White Lion." 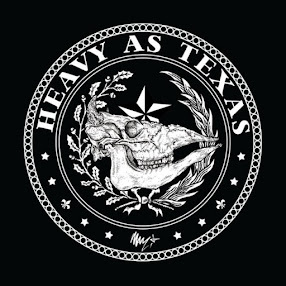 Review: Slough Feg - "Hardworlder"
Review: Lillian Axe - "Waters Rising"
Review: Candlemass - "King of the Grey Islands"
Review: "Guitar Hero Encore: Rocks the '80s"